Advantech’s Packetarium XLe series meets the higher levels of performance and throughput needed by next generation enterprise and telecom applications, offering new, cost-effective ways to scale-out compute density using Intel® Architecture processors distributed across high-speed switched backplanes. 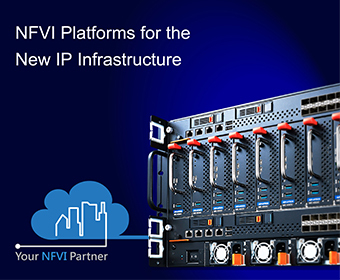 The system is optimized for maximum CPU and network I/O density, enabling faster packet handling to meet the increased data throughput rates needed in enterprise networking and in telecom middle boxes. It is ideal for Network Intelligence deployments requiring accelerated packet processing performance on 10GbE, 40GbE and 100GbE ports in applications such as high-end network security, policy control and traffic analysis. The first model in the Packetarium XLe for Enterprise series, the PAC-4010 fits in just 4RU and reaches the performance levels typically only found in specialized ATCA or proprietary network processor-based solutions, but at a fraction of the cost. The platform uses common IP and building blocks to bring greater cost efficiencies and economies of scale which can then be passed on to customers. The PAC-4010, packs up to 840 Gbps of I/O, up to 2 Tbps of switching capacity and up to 12 Intel® Xeon® Processor E5-2600 v3/v4 CPUs in just 4RU. The integrated switch & system control module is based on the high capacity Broadcom StrataXGS® Trident II/II switch family managed by an Intel® Atom™ Processor C2000 and provides six hot swappable PHY mezzanine module (PMM) slots to accommodate a wide choice of 10 GbE, 40 GbE and 100 GbE ports with optional LAN bypass support. Many different payloads can be integrated into Advantech Packetarium XLe systems and configured to address a broad range of industry applications. For more details on integrating a specific configuration please contact your local sales representative.